It’s one of the bustard seen in Gujarat. They are winter visitor. Another one is Great Indian Bustard which is resident and seen only in great rann of Kutch. It is under Vulnerable IUCN list. 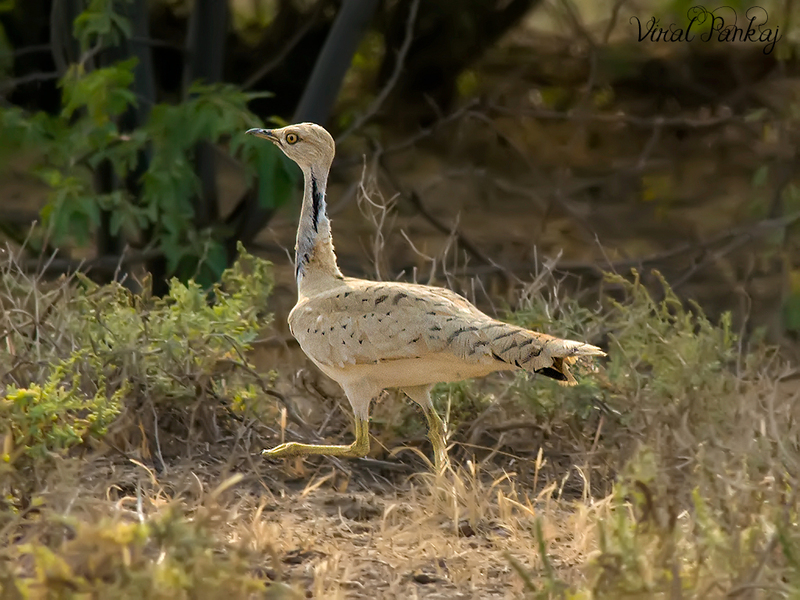 On that day we saw around 7 MacQueen's bustard in little rann of Kutch. They are very shy birds. It’s difficult to photograph them. When they see the vehicle coming towards them even from 200 m away they start fast walking and flying low and seat in bushes. Their colour merge so much with the colour of land so once you change of sight from them and you lost them. Last year we tried a lot to see them in LRK but that time we did not succeed. But this time we are lucky to spot them, it difficult to locate and even more difficult to photograph this beauty of rann.